Only 12-day away and recent weather models show a high probability of sun in the forecast for the 50th Minnesota Ironman Bike Ride, on April 24th. Start your summer bicycle riding season with this anniversary event, no swimming, no running required – Just a fun bike ride with bragging rights guaranteed. Save, on on-line ride registration closes April 13th. at 5 p.m. This 2015 bike participants of the MN Ironman is all smiles as she leave for her ride through the St. Croix River Valley. 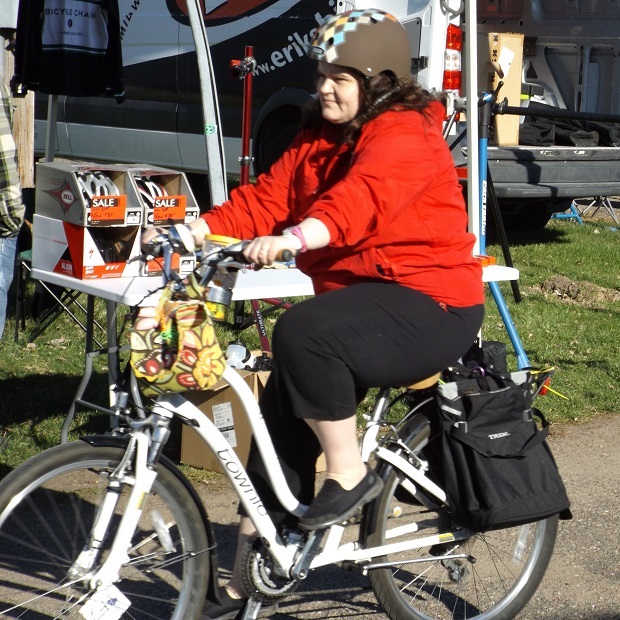 This entry was posted in News and tagged #FindYourNextAdventure, #onlyinMN, bike Stillwater, bike Washington County, Erik’s Bike Sponsor, Gateway trail, Minnesota Ironman Bike Ride, MN Bike Events, Spring bike event on April 11, 2016 by Russ Lowthian.